Nate Parker’s film The Birth of a Nation captivates visually and emotionally with tension and tenderness. 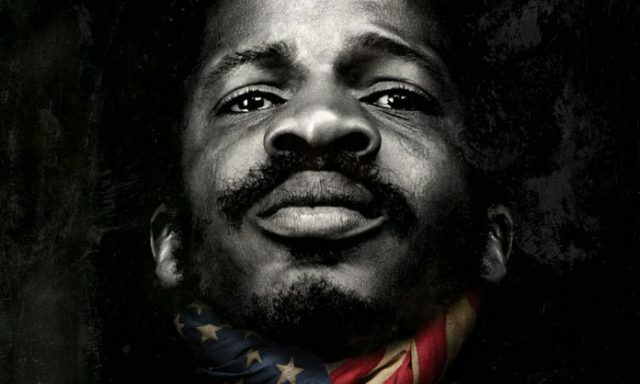 Parker portrays minister and slave Nat Turner who leads a 48-hour slave revolt after a life of traumatic events. Armie Hammer (Sam Turner) plays Nat’s master in a performance that had Oscar-level potential, if not for the writing. Overall, the script reflects the attitudes and dialect of pre-Civil War America. Recited Bible verses root the reasons for slavery and the rebellion. Parker’s character is focused on with precision, and his development is as fluid as the film. Turner’s motivations could not be any stronger nor clearer. Although, the reasons for not rebelling equal in strength. The best note on the writing is the visual metaphors through dream sequences. Tension and tenderness balance one another out. Through editing and pacing, several moments are suspenseful. Questions of violent consequences consume nearly every master-slave scene. Love, marriage and family scenes between the servants levitate the emotion of the movie from continuous dismay and graphic atrocities. There are a few failed attempts at sarcastic humor from Sam and his peers. Although the exchanges featured only whites, they fall flat. Cinematography shines above all in this art piece. Parker pays strong attention to detail through camera movement, lighting, angles and facial positioning. Audio trails visually by the smallest of margins with focused hyper sound effects and usage of the score at certain points throughout the movie. Audio and visual work well in concert with one another to the point where they two interacting characters. The glaring flaw occurs towards the end of the film. The way a particular scene gives the sense of a closed curtain, but the motion picture continues. Though the additional minutes are executed artistically, they could have been cut down. The Birth of a Nation accurately portrays slave culture in the United States and its current relevance. Tells the story of the internal conflict of an infamous revolutionary. Very few flaws, excellent visuals, fantastic use of audio and a well-written story. The Nate Parker film also features Aja Naomi King, Colman Domingo, and Penelope Ann Miller. Leave your thoughts on the movie below, or Tweet them to @johnwarejunior.